Feel more attractive and enhance the area that can have the most impact on your face. A corner of the lip lift can possibly be that procedure you need. "Hi Dr Young... I just wanted to tell you that I am so happy with my result. Thanks again. I am still in United Arab emirates, as soon as i come back to America, i will come for more beauty procedures :) Here is my recent picture. I have absolutely no scar. Have wonderful week." - Sophie.S. 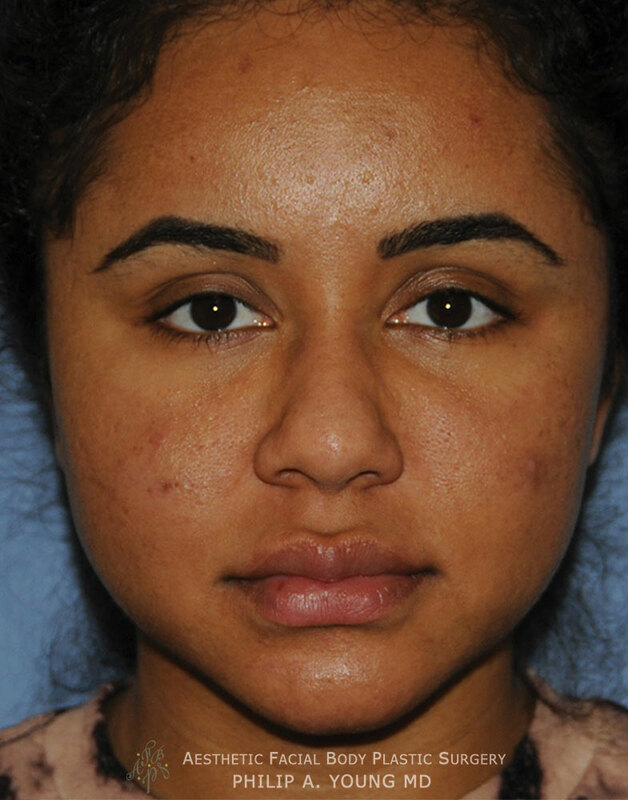 30's Middle Eastern Female from Seattle, WA & United Arab Emirates 5 months after a Buffalo Horn Lip Lift through an incision under the nose to Lift the Upper Lip. 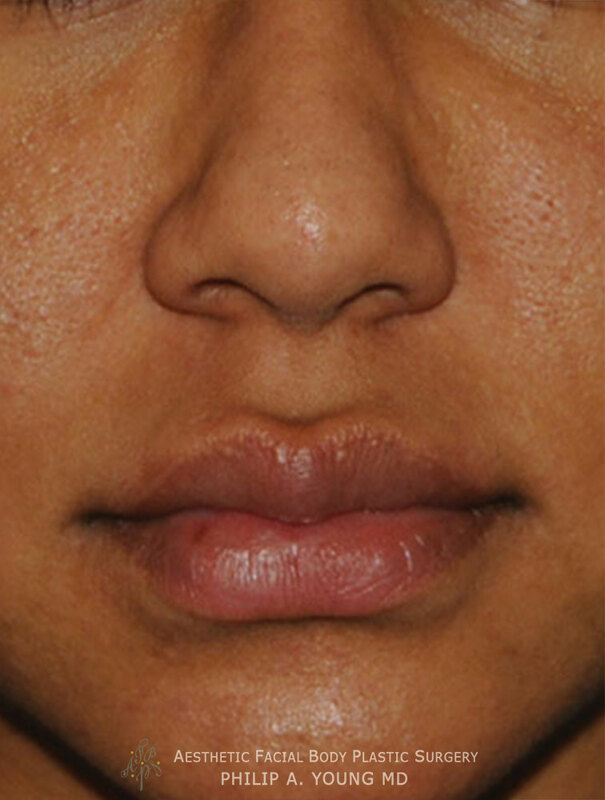 Corner Lip Lift Explained: The corner of the lip lift is a procedure that is carried out on the side of your lips by the corners where a section of tissue is removed in order to elevate the corners of your lip. This procedure can be used when the corners are down turned or when there is a significant fold or crease by the corners of your lip. 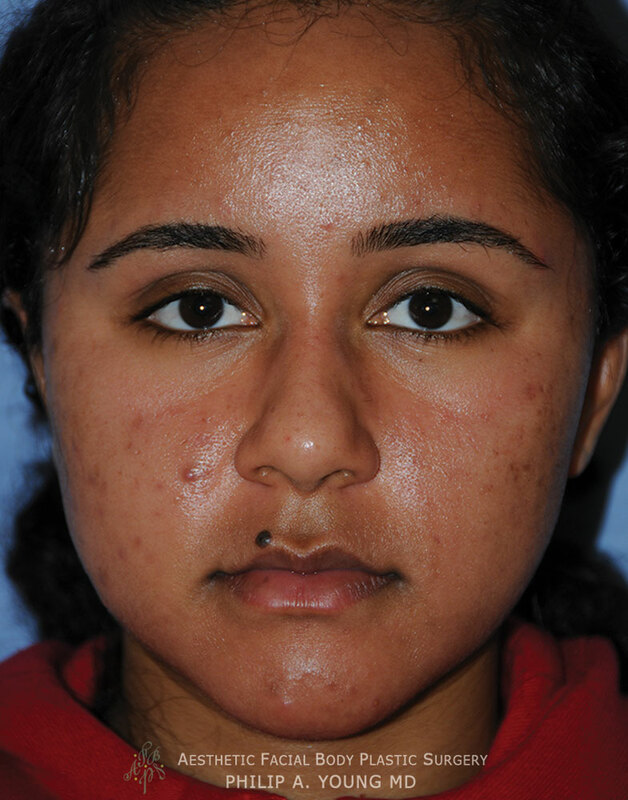 One of the significant concerns that most people have is the incision and scar that is in the corner of the lip. 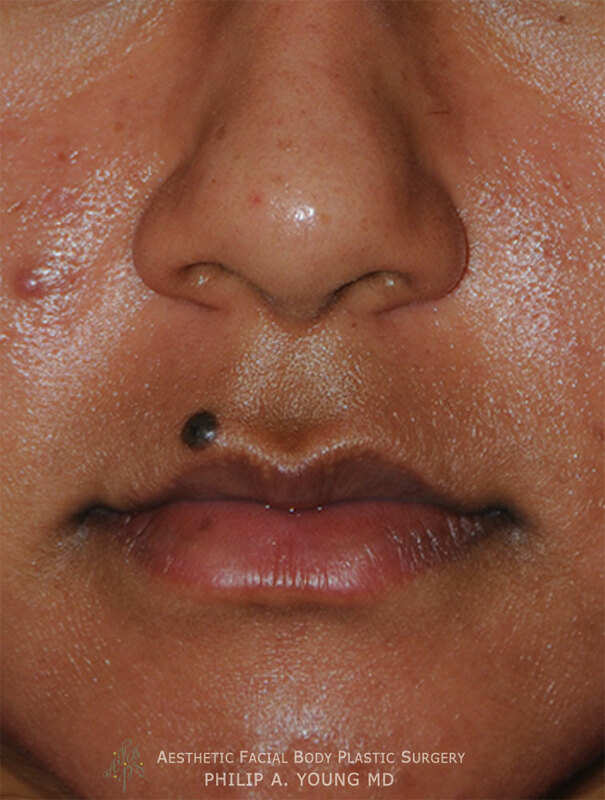 Often times that incision is hidden well in the corners of the lip and is concealed in an almost imperceptible fashion. The video above will show how we close the corner of the lip to avoid significant scarring. We like to use particular sutures to prevent the incision from widening and to lead to a much finer scar. Are you a candidate for a corner of the lip left? The main question is whether you have a significant concern for the corners of the lip and whether your crease and fold they're really bother you. You also must be willing to accept a small scar in that corner and lateral part of your lip and mouth area. In terms of how healthy a person is, we typically carry out a corner of the lip lift on patients that are fairly healthy. The American Society of anesthesiologists have a classification system and our patients typically fall in the class 1 or class 2 ASA level. Click here to learn more about the ASA classification system. If you are interested in scheduling an appointment you can email, call 425-990-3223 (Office) and even text message 425-505-0938 (Mobile) us at anytime. If you are having a procedure, it is important to stay off blood thinners and the listed medications to avoid for two weeks before and two weeks after the planned date of your procedure.